Brilliant’s new Vector Fans aim to revolutionise ceiling fans thanks to Ezi-Fit blade technology that allows fast assembly in less than 20 seconds. 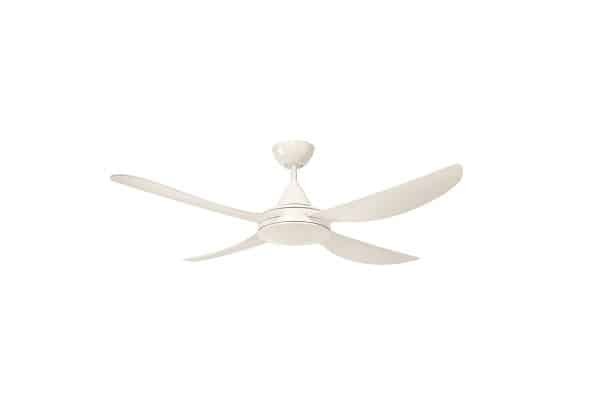 While traditional ceiling fans are time consuming to assemble and install, the Vector Fan Series employs the latest Ezi-Fit blade technology, reducing fan assembly to under 20 seconds. Unlike traditional fans, no tools or screws are required for blade assembly; simply push the Ezi-Fit blades into the slots and they lock in. It features four Ezi-Fit ABS blades, a powerful 50W AC motor, durable ABS plastic body and canopy and wall-mounted 3-speed control. It comes in two sizes of 1200mm and 1300mm.